If you have been unable to get pregnant and you don’t know why, visit Dr. Remberto Santos at Aventura OB/GYN Advanced Care. After reviewing your medical history, he will perform a complete workup to explore the possible causes of your infertility. One common cause is endometriosis, a condition in which tissue from the lining of the uterus (the endometrium) is found growing in other locations such as the outside of the uterus or within the fallopian tubes, ovaries, or pelvic lining. It is usually not dangerous but can result in infertility, abnormal menstrual cycles, and pain. The exact cause of endometriosis isn’t known. Several theories exist that try to explain why it occurs. The most common theory is that some of the menstrual fluid travels into the pelvis, and this fluid begins to grow each month in response to hormones. Another theory is that tissue moves from the uterus to other sites through the blood. Other symptoms of endometriosis include spotting blood before starting your period or bleeding between periods. To check for endometriosis, Dr. Santos will perform a pelvic examination and ultrasound in the office. He may recommend a minimally invasive surgery called laparoscopy to confirm the diagnosis and determine the extent of your condition (i.e., verify the location and amount of abnormal tissue growth). Treatment will depend on the extent of your condition and whether you want to have children. Endometriosis symptoms can be treated with either medication or surgery. Over-the-counter pain medication can relieve menstrual cramps. Some hormone therapies, such as birth control pills, help control the duration and severity of menstruation while others, such as gonadotropin-releasing hormone (Gn-RH) agonists and antagonists or progestin-only therapy (IUD or Depo-Provera), may be used to stop menstruation and the growth of endometriosis. If you are trying to become pregnant, however, you should not take hormone therapies and instead consider surgery. Laparoscopic surgery is a minimally invasive procedure performed to remove endometrial growths or adhesions. Traditional surgery involving a large incision through the abdomen may be used in more extensive cases. Endometriosis causes infertility in two ways. It creates an immunological response that isn’t healthy for egg, sperm, and embryos. Secondly, the disease can cause pelvic scarring and block or distort the fallopian tubes and ovaries, which can interfere with fertilization and implantation. If a woman has mild endometriosis, controlled ovarian hyperstimulation along with inseminations are often the best option for achieving fertility. Women with severe endometriosis have the greatest success with in-vitro fertilization. If you have symptoms of endometriosis and have been unable to conceive, call Aventura OB/GYN Advanced Care to schedule an appointment with Dr. Santos. 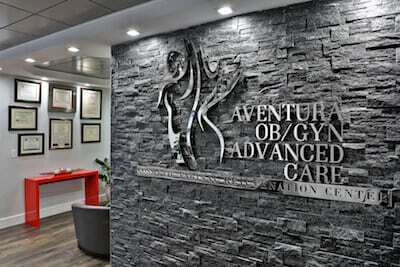 You can reach our North Miami gynecology office at (305) 931-7960 or you can request an appointment online.